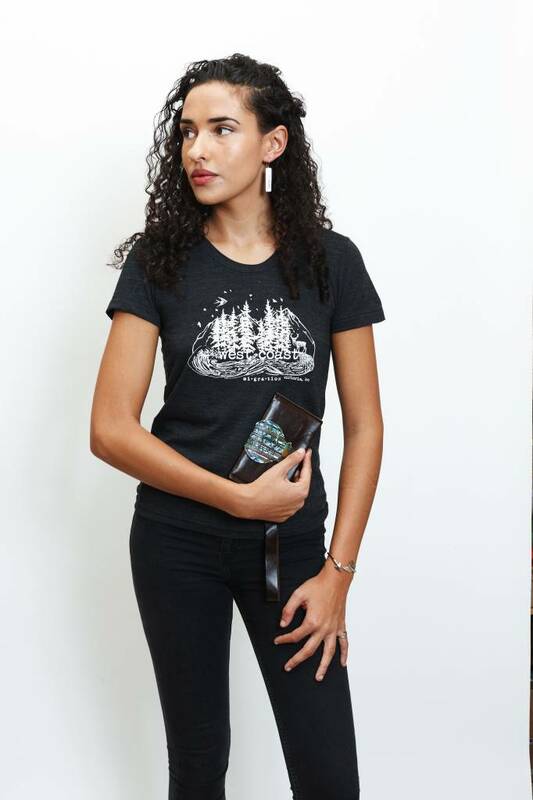 Migration's signature print was designed in house, by lovely staff member Danielle of Hello Yellow Canary. 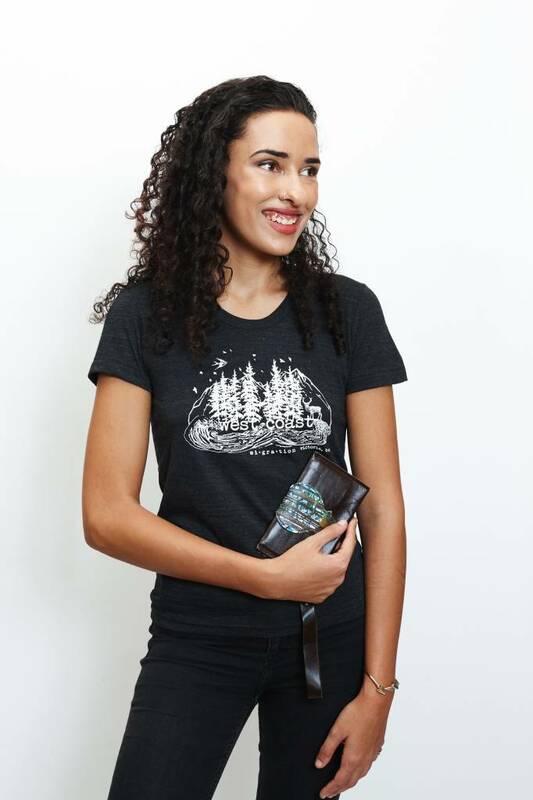 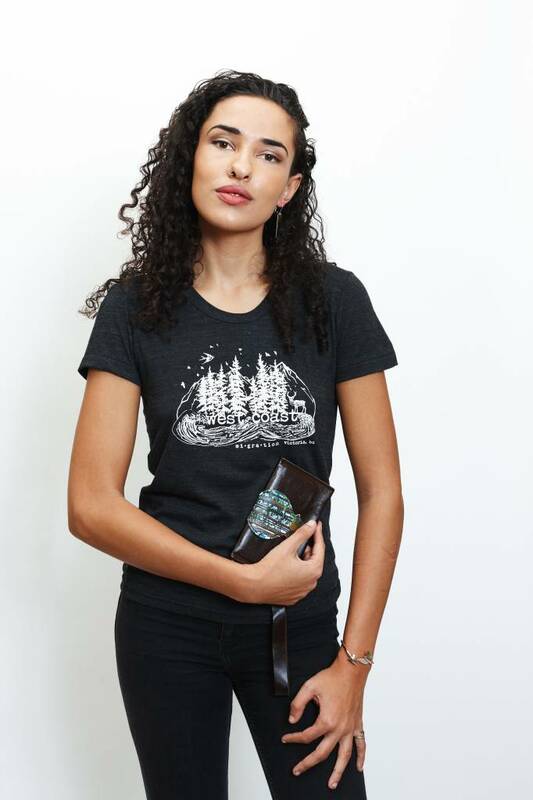 Show your love for the beautiful West Coast in this soft unisex 100% cotton t-shirt. 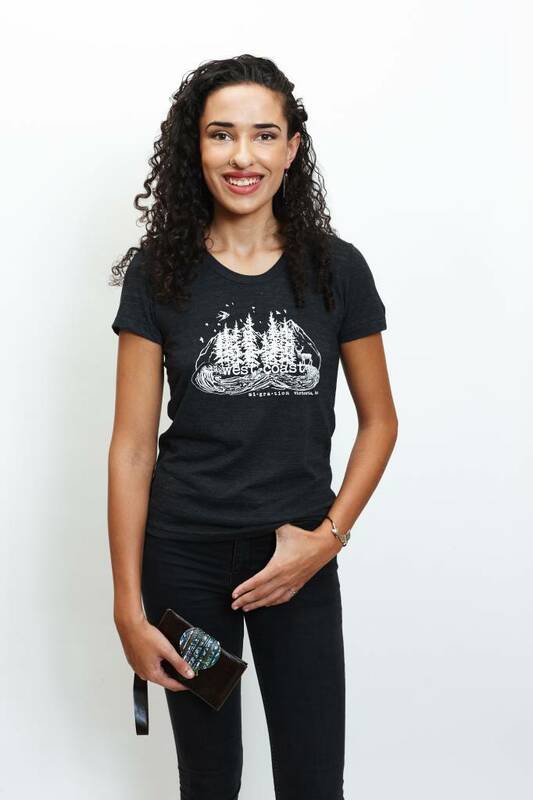 Tall trees, big mountains, wave filled beaches, and beautiful wildlife! 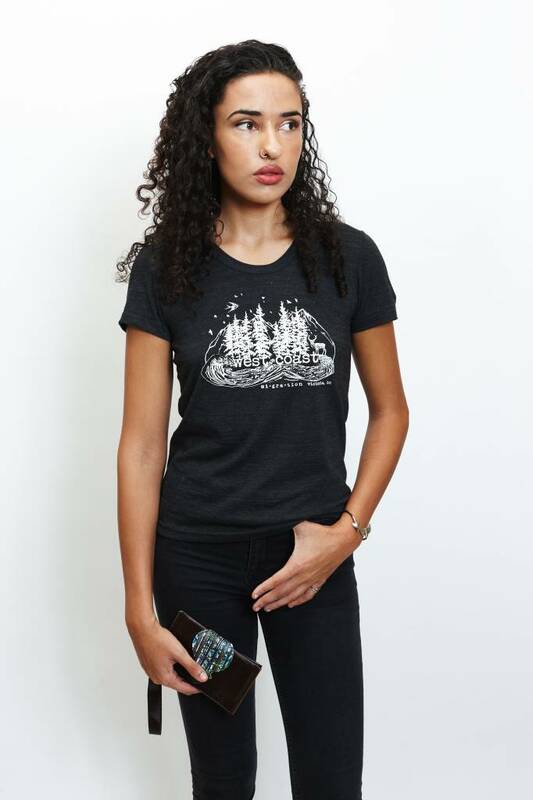 This perfect West Coast scene is Migration's signature print and was designed in-house, by lovely staff member Danielle of Hello Yellow Canary. 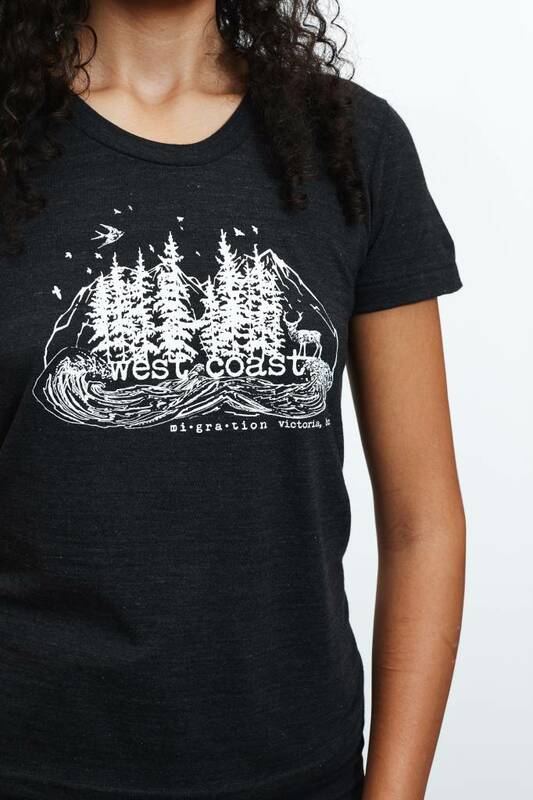 Here it has been printed in white, on a soft charcoal (black) 100% cotton unisex t-shirt, it's the perfect way to represent your love for our beautiful West Coast.